A Franklin County, Tennessee, man is behind bars after leading deputies on a car chase and firing an arrow into a patrol car door, authorities said. 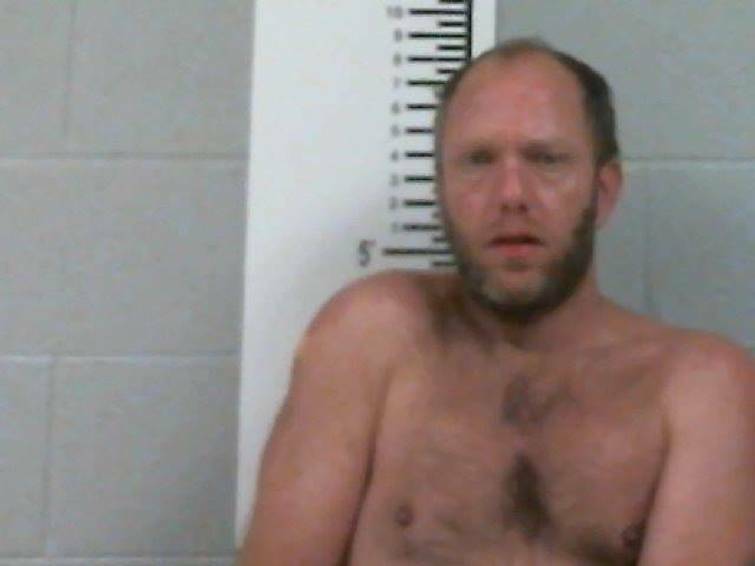 The suspect, identified as 39-year-old James Michael Ferguson, allegedly disobeyed police commands at a crash scene on Old Tullahoma Road on Sunday night, a Franklin County Sheriff's Office news release states. Old Tullahoma Road is a two-lane state highway that runs about 16 miles between Winchester and Tullahoma in neighboring Coffee County. Ferguson approached the crash scene but didn't "comply with the deputy telling him to stop, then he stopped and said, 'That's my car there in that wreck.' And the deputy said, 'Let me see your ID,' and then he put it in reverse and down the road they go," sheriff's office spokesman Sgt. Chris Guess said Tuesday. The car pursuit was short-lived. "They saw him in the car and knew who he was and where he lives and that's how they knew where to go," Guess said. "They didn't pursue him because of road conditions, and they also knew where he lives so they went to his house." When deputies later went to Ferguson's house at 6050 Old Tullahoma Road, they found the man's car pulled across the the home's long driveway, Guess said. Deputies stopped where the car blocked their path and Ferguson was spotted in some weeds growing alongside the driveway with a compound bow in hand, Guess said. A police statement on the incident said Franklin County deputy Patrick Stefanski got out of his patrol car, saw Ferguson, then moved behind his car as Ferguson fired an arrow from a compound bow that embedded itself in the rear driver's side passenger door of the police cruiser. Stefanski and deputies Kason Bolin and Samuel Penny then briefly chased Ferguson on foot before taking him into custody, the release states. Guess wasn't sure what kind of arrowhead was on the arrow shaft fired into the patrol car, but he said the arrow couldn't be easily dislodged. Ferguson's bow likely had at least a 40-pound pull, he said. "It would have gone all the way through a human being," Guess said. No one was injured. As the investigation continued, officers learned that Ferguson also had vandalized the house he shares with his mother and done "severe damage," Guess said. That incident also happened Sunday. Ferguson is charged with domestic assault, two counts of felony evading arrest, reckless endangerment, failure to obey a police officer, aggravated assault, resisting arrest and on a warrant revoking his bond on previous charges, according to officials. He is being held without bond. Guess said Ferguson has had some problems in the past, "but nothing to this degree," he said. Some of those problems re-emerged with his recent arrest, resulting in a bond revocation on previous charges, Guess said. Ferguson will have a bond hearing Thursday to possibly address all the his current charges. He also faces a court appearance on March 7 for a initial hearing on his most recent charges, officials said. On the Franklin County Sheriff's Office's Facebook page, people posted praises for the deputy's restraint and were relieved that no one was injured or killed.